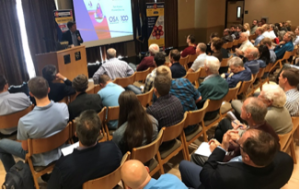 Close to 100 people, along with 24 students presenting posters, attended CPIA’s 2018 Annual Meeting. 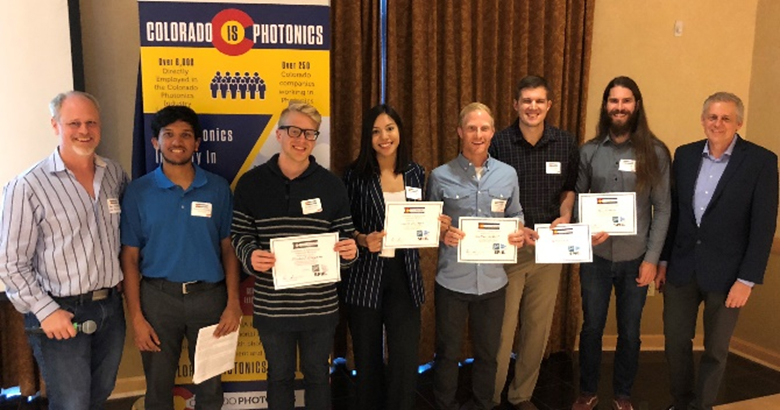 Ken Anderson, CPIA Board Chair Archish Muralidharan, Univ of Co Michael Grayson, Univ of Co Camila Uzcategui, Uni of Co Jonathan Gilbert, CSU Nathan Worts, Co School of Mines Alex Wilhelm, Co School of Mines Dr. Bart J. 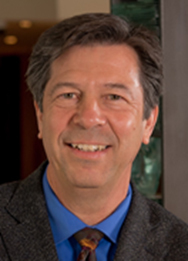 Van Zeghbroeck, CU ECEE Prof. 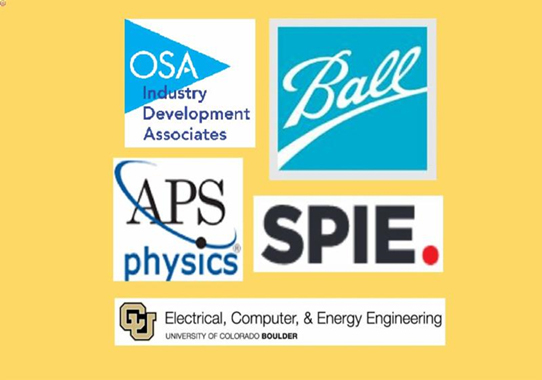 This year’s winner of CPIA’s “Photonics Company of the Year” award, High Performance Devices (HPD), achieved distinction in the industry and contributed to the photonics economy in Colorado. 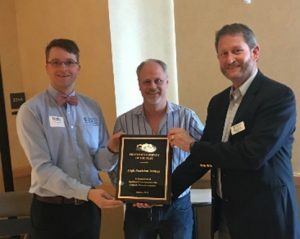 Ken Anderson, Chair of CPIA, is pictured with Orri Jonsson (on left) and Kevin Miller, of HPD. 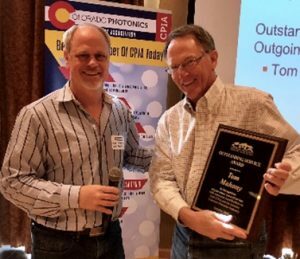 Also honored at this year’s CPIA Annual Meeting, was Tom Mahony, for many years of service to the photonics community and CPIA. Ken Anderson is shown presenting the Outstanding Service Award to Tom Mahony.